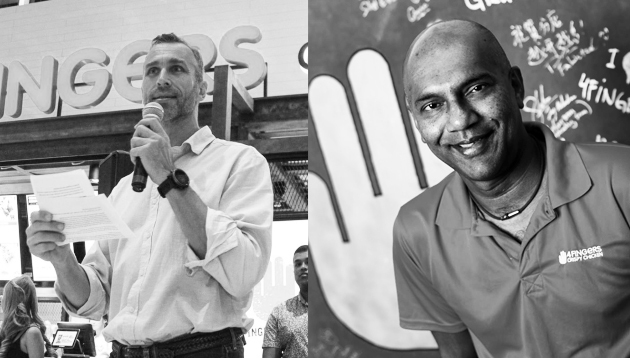 4FINGERS has appointed chairman Vijay Sethu (pictured right) as interim CEO, following the exit of Steen Puggaard (pictured left) who has moved on to pursue other ventures. Puggaard, who has been in the role for over four years, will remain a shareholder in the business. Sethu has over 30 years of experience in investment banking across Asia, Australia, the UK and the Americas. He is also a non-independent, non executive director of Taliworks, a Malaysian public listed corporation and TEI, a joint venture company between Taliworks and the Employees Provident Fund of Malaysia. Prior to this, Sethu held leadership positions across key brands such as CIMB, ANZ Investment Bank, holding directorships at International Medical University Malaysia, Malakoff, Cerahsama, Don Muang Tollway and Infraco Asia. “We would like to thank Puggaard for his dedication to the 4FINGERS brand over the last four years, growing it from one outlet in Singapore to the current 24across five countries – Singapore, Malaysia, Indonesia, Thailand and Australia. We wish him the very best as he takes some time out to focus on his other interests,” Sethu said. He added that 4FINGERS will continue to launch more stores to keep up with consumer demand. “It has been an amazing ride and a great privilege to work with some of the most dedicated people in the F&B industry,” Puggaard said. According to his LinkedIn, Puggaard has worked at Robinsons, Burger King and McDonald’s. For companies looking to increase sales, recruitment, innovation and word of mouth, millennials’ bias toward CEO activism should n..